DJ Crew – Soca, Calypso, Zouk, Reggaeton, Tropical, Ghettofunk, Afrorave and World Bass. 23/05/2011 in Show. 0 Comments Tags: berlin, glow, kdk. 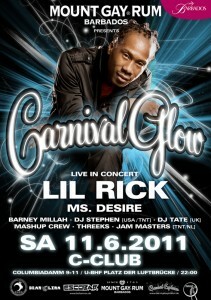 The infamous Carnival Glow party with an unbelievable international line-up! 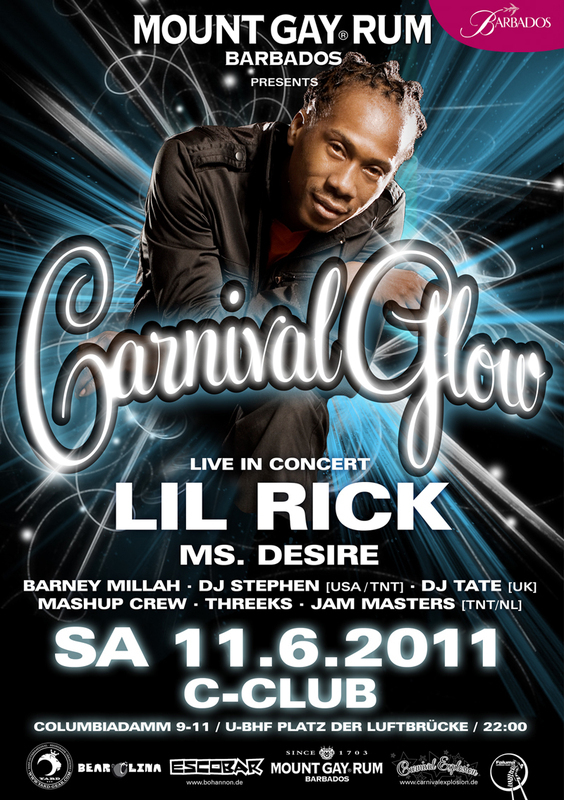 The Headliner is bajan Soca-Heavyweight Lil Rick with his powerful hit-after-hit performance, accompanied by rising star Ms Desire. Who already experienced a Carnival Glow in Berlin in the past years with superstars like Bunji Garlin, Fay Ann Lyons, Skinny Fabulous or Scrappy already knows what will happen again: madness galore!!! top players DJ Tate from London and Jam Masters outta Holland/TnT.